Blaenblodau Hall sits on a wooded site in Cardiganshire, well hidden from the road yet with much natural sunlight reaching it. Stone walls with ornate gates surround it. It is a good size house that has not been left empty for too long, and the structure looks sound. The two huge chimney stacks give the building a feeling of having large proportions. At the rear of the property are two bay windows. The ground floor windows are now boarded up and the building looks sad. The house is of stone construction and only the porch section has been rendered. In the early 1900’s when the house was put up for sale it was reported to have 1,100 acres including 35 farms as part of the estate. Now it is Grade II listed, and seriously in need of some TLC while it would still be reasonably easy to bring back to life. This building is far from being beyond repair; it just needs someone who is willing to undertake the process of restoration to turn it back into an impressive family home. I wish I could take on this challenge. 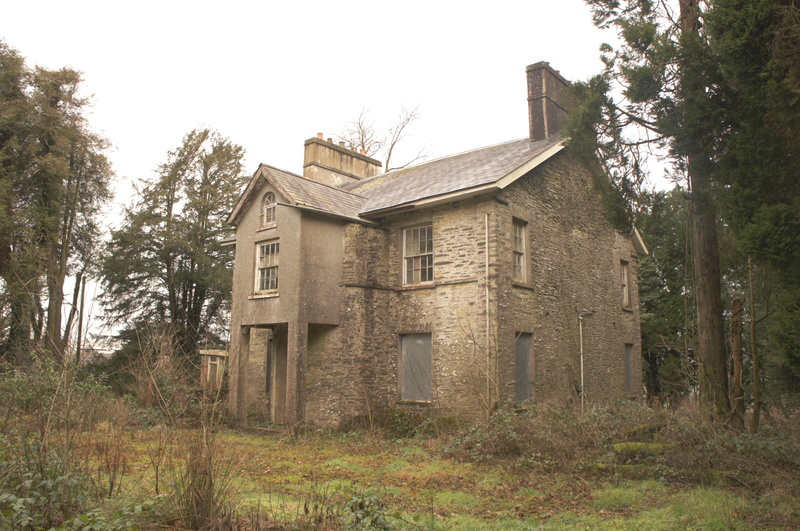 This entry was posted in Uncategorized and tagged Blaenblodau Hall, carmarthenshire, derilict, ruin, wales. Bookmark the permalink.